AOA Reveals Tracklist For 'Good Luck'! 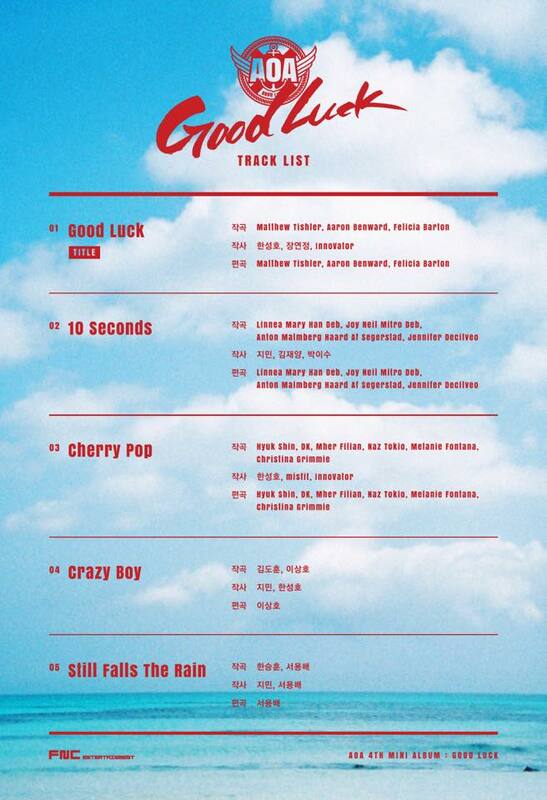 AOA has revealed the tracklist for upcoming mini album 'Good Luck'. There will be 5 songs and 'Good Luck' has been chosen as the title track. In particular, member Jimin is seen participated in the lyrics writing of '10 Second', 'Crazy Boy' and 'Still Falls The Rain'. 'Good Luck' will be released on May 16th.